Tian is the 2016 Most Promising Asian American Engineer of the Year (AAEOY) and will be honored in a ceremony on March 12 at the Hyatt Regency Hotel in New Brunswick, New Jersey. The prestigious AAEOY awards are a National Engineers Week program hosted by the Chinese Institute of Engineers-USA (CIE-USA) to salute Asian American professionals who demonstrate exceptional leadership, technical achievements, and public service in science, technology, engineering, and math. Tian is a principal member of the technical staff. Over the past 12 years he has developed many detection and tracking algorithms for remote sensing systems under Sandia’s nuclear non-proliferation program. His work focuses on designing algorithms to better detect and track the movement of objects. 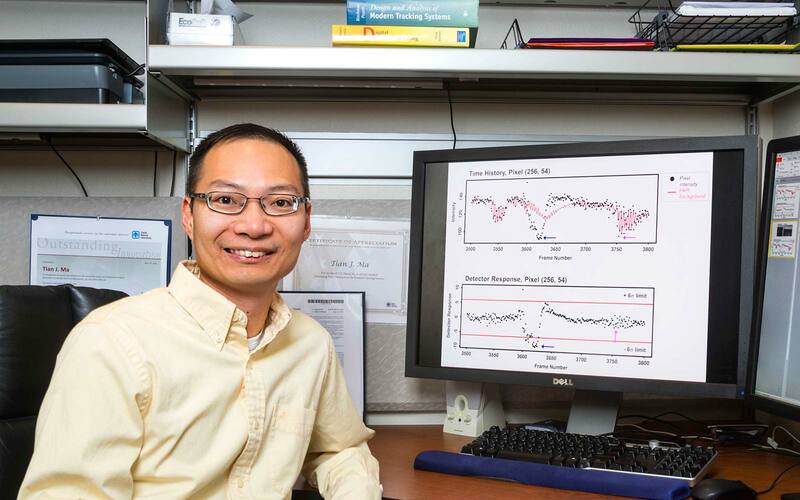 At Sandia, Tian has served as the technical lead on several multi-year projects. His advancements in multiple hypothesis tracking and jitter suppression algorithms have enabled U.S. government agencies to pursue entirely new remote sensing missions that have enhanced national security. Tian’s expertise has led to one issued patent and three patents pending, along with three technical advances and multiple publications. Tian enjoys the challenges that come from being an innovator.